WASHINGTON D.C. -- President Barack Obama has signed into law a resolution that makes the bison the national mammal of the United States. Lawmakers spearheading the effort say the once nearly extinct icon deserves the elevated stature because of its economic and cultural significance in the nation's history. The U.S. Department of Interior tweeted the decision, saying, "Say hello to our new national mammal." Millions of bison once roamed the Great Plains. About 500,000 now live in the U.S. but most of those have been cross-bred with cattle, and are semi-domesticated. Only about 20,000 are considered wild. Supporters of the legislation say they believe the recognition will elevate the stature of the bison to that of the bald eagle, long the national emblem, and bring greater attention to ongoing recovery efforts of the species. 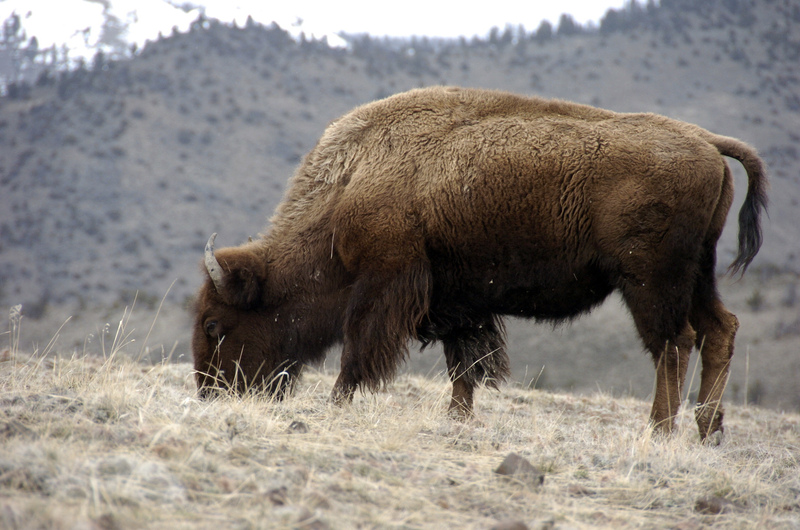 "I hope that in my lifetime, thanks to a broad coalition of ranchers, wildlife advocates and tribal nations, we will see bison return to the prominent place they once occupied in our nation's shortgrass prairies," said Democratic Sen. Martin Heinrich of New Mexico, who worked with Republican Sen. John Hoeven of North Dakota to pass the Senate version of the legislation.